Life Between Pages: Watch the trailer for The Hobbit: An Unexpected Journey! 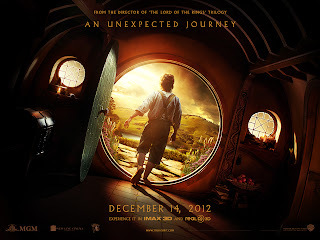 Watch the trailer for The Hobbit: An Unexpected Journey! The first trailer for The Hobbit: An Unexpected Journey is finally here! How exciting is this?! Oh, if only I had a time machine – I could go and watch this film now! I can't wait to see it in all its Middle Earth glory! What do you think? Are you squeeing with anticipation like me?! I don't think I've ever been this excited about a film before! Also remember to check out the newly launched official website – you can download the trailer and some fabulous desktop wallpaper. The demise of the big bad corporate bookstore?